That's not just the name of the first track tonight - it's also the age of FBi Radio, and this very show! Happy birthday to us! LISTEN AGAIN because nostalgia, nostalgia, nostalgia! Stream on demand in stereo, podcast here. This week, Aaron Funk aka Venetian Snares put out a somewhat mysterious call on his social media, claiming that he was suddenly experiencing rather serious financial difficulties, and was hoping his fans would purchase something from his Bandcamp to help him get through. He's got a heap of older out-of-print EPs and a couple of releases there which are unique to the Bandcamp. Within a day or so, every spot in the Bandcamp top 10 was VSnares, showing that he's got some seriously dedicated fans. Nice work! Melbourne breakcore artist binliner wrote to me today to announce his new album. He was listening to UFog back in '03-'04 in Sydney, when I was playing a lot more breakcore, and it's nice that tonight, with Snares and the big feature coming up next, I'm actually playing a fair bit of breakcore and drill'n'bass! This album is very well-produced and fun stuff, recommended. So tonight we're also celebrating another big anniversary: 20 years of Planet µ, a label which was very important to me from the beginning but has only increased in significance in the electronic music scene, particularly over the last 10 years. 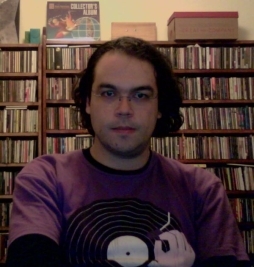 Started as an imprint of Virgin Records, to whom Mike Paradinas was signed as µ-Ziq, it was an outlet for him to release his own music as well as other like-minded artists. Paradinas had been friends with Aphex Twin since student days, along with the well-loved Jega who ended up being responsible for the first "real" Planet µ 12" when it became an independent label. But in 1997 Paradinas put out the first of many Planet µ compilations, Mealtime, still as a Virgin imprint, featuring many of the idm/drill'n'bass heroes like Aphex Twin, Luke Vibert as Plug, Plaid, MDK and others... and the wonderful Animals on Wheels, who ended up releasing on Ninja Tune and Thrill Jockey among others. Also in 1997, µ-Ziq's extraordinary Lunatic Harness album came out, as his first real foray into "drill'n'bass" - beautiful melodies, completely fucked-up junglist beats. It's still one of my favourite electronic albums and never fails to bring a smile to my face. Paradinas was extremely keen to put out some music from across the pond by the jungle/breakcore/noise genius from Cambridge, Mass named Hrvatski (well, he was and is named Keith Fullerton Whitman, although those days he had a myriad of other aliases which were only loosely linked to him). Various legal issues and other stuff delayed things somewhat, so that the 7" with this particular track came out years after the music was written - and I'd heard both tracks and most of the ensuing album by the time they came out. Nevertheless, it was exciting to have Keith on Planet µ. Of course he then abandoned breakcore and drum programming on the whole for self-programmed Max/MSP drones, kraut/post-rock excursions and esoteric explorations of modular synthesis. Meanwhile, Planet µ was gradually expanding out of its experimental electronic roots and making a welcome home for the more exploratory end of dancefloor drum'n'bass, as well as ferocious breakcore - including becoming the more frequent home for the 7/8 beat-juggling horror movie madness of Venetian Snares. On the d'n'b front, Paradinas signed Tim Exile, who'd had a good deal of success with some singles on mainstream drum'n'bass labels, but from outset on µ set out to expand the drum'n'bass of the time in insanely complex directions - and since then has slipped sideways into a kind of jungle/electro-cabaret pop, and built amazingly powerful interfaces for performing electronic music live (in particular with Native Instruments in Berlin). For Planet µ, Venetian Snares has released countless (lol, not quite) albums and EPs, including one of the most inspired albums of the 2000s, his 20th century classical / Eastern European folk / jazz / breakcore masterpiece Rossz Csillag Allat Született. As well as Billie Holliday, he samples Bartók, Hindemith, Elgar and others and splices them seamlessly into his breakcore productions (all in 7/8 time mind you!). While his occasional violin scrapings and piano overdubs stand out a little, the hard-as-nails beats are splattered around the more subtle jazz drums and the rest in a surprisingly sensitive manner. It's a tour de force and one of the pinnacles of the first 10 years of Planet µ (well, it appears right at the end of that decade). The second decade is characterised within a year or two by Paradinas' swift adoption of dubstep, as the form gained shape and popularity. It was something of a surprise to see a compilation from BBC superstar DJ Mary-Ann Hobbes in 2006, but her interests in the forefront of electronic music (er, electronic dance music but let's not use that acronym) made Planet µ the perfect fit, and her first comp Warrior Dubz mixed grime and dubstep when dubstep was still very underground. Loefah, one of the originators, appears with a VIP of one of his vinyl-only DMZ 12" tracks, so there's essential dubstep history right there. Paradinas was also responsible for getting out some single-artist dubstep albums from early on, and two albums appeared from grime producer and dubstep pioneer MRK1 - some of the earliest dubstep stuff I latched on to, leading me to the other originators and so much more. µ has never lost sight of the original experimental electronica roots either, and real idm & glitchy beats still appears on the label. Early on they released an incredible album by Dublin duo Ambulance (who appear with a live track on 20th anniversary comp), and in 2008 they dropped an EP and album of lush, melodic, crunchy electronics from Dunk Murphy, one half of Ambulance, as Sunken Foal. Anyone who's listened much to the show knows that Sunken Foal's pure gold, and while he's taken to releasing his stuff on his own Countersunk imprint through Bandcamp now, there's no doubt most of us wouldn't know about him if not for Planet µ. While µ is a UK outfit, they've increasingly reached across the world (as we'll see soon with their next phase), and in 2008-2009 San Francisco/Bay Area producer Eskmo was making an impact with his dubstep and wonky productions. While he ended up on Ninja Tune for an album or two, he put out a lovely piece of bouncy, tricky beats on Planet µ in 2009. And then Mike discovered a unique and exciting genre of dancefloor music in Chicago known as juke, or footwork - in which mind-bogglingly talented dancers shuffled their feet in double-time to sped-up hip-hop beats, sort of like breakdancing on fast-forward. It was like an alternate-world version of jungle, something which producers outside of Chicago latched onto quite quickly, and eventually the originators picked up on too. It's pretty clear that Planet µ is what took this music out of the dance clubs of Chicago, where it was produced for specific dance crews and rarely released in any format, and brought it to the rest of the world. It's now been hybridised with dubstep, trap and other forms of bass music, along with jungle and its weird & wonderful contemporary forms like slow/fast and autonomic, but µ has also released a lot of the original material in its unadulterated form. Planet µ also anticipated the current jungle revival by some years, releasing retrospectives of Bizzy B and Remarc. Machinedrum put out his first footwork-inspired albums on Planet µ before moving to Ninja Tune for his tour de force of footwork/junglist productions, and appears on the µ20 comp with a brilliant junglist track..., while footwork original Traxman provides a 2015 version of one of his tunes, highlighting the hip-hop and soul roots and only switching into double-time near the end. Finally, a classic piece of micro-edited madness from Milanese, connected with Various Production early on, melding dubstep and grime with jungle and hefty doses of idm. One of my favourite Planet µ producers, less famous than he should be, dammit. And lastly, one track from a great album of electronica from Perth's Liminal Drifter, from whom we'll hear more next week. He's been releasing music for some time under various aliases, and appears now courtesy of Perth's musical powerhouse Hidden Shoal. Another week, another show! Tonight we've got NEW! NECKS!, postpunk freejazz electroacoustic craziness, other discoveries from this month's issue of The Wire, post-bass techno and experimental electronica. LISTEN AGAIN if you dare... whether the podcast from here or the (stereo) stream from FBi. It's always an event when a new Necks album comes out. Will it feature ultra-minimal sound textures, krautrocky motorik grooves, will it be one of those rare albums with a few shorter tracks (like, 20 minutes rather than 60)? Their latest, Vertigo, is out in Australia on CD in a couple of weeks (Sept 11th) and it turns out that it's a gorgeous-sounding experimental sound piece. There's brief bursts of free piano & drums over long-form piano & bass drones, out-jazz bits and loud bits... But it all hangs together around a certain feel. I'm not sure it's exactly vertiginous, but it's not exactly a calm, comfortable listen either. As highly recommended as ever! Earlier this year, The Necks' pianist Chris Abrahams teamed up with Italian sound artist & vocalist Alessandro Bosetti for an album on the excellent Greek experimental label Unsounds. Ambient, glitched electronic textures and vocal layerings, spoken word, slippery piano - it's beautiful stuff. So I was reading the latest issue of The Wire this week (as a subscriber I get to read it on my iPad as soon as it comes out, and then dutifully file my print copy along with the other 20-odd years' worth on the bottom of my CD shelves... *ahem*)... and there was an article on the fascinating English post-punk free jazz saxophonist and poet Ted Milton and his band Blurt. I was thinking that I had to check him out, when I read a sentence near the end referencing new work with an electronic producer called "Britton", and I had to skip back through the pages to confirm that it was Sam Britton of Icarus - favourite post-drum'n'bass duo whose other half, Sam's cousin Ollie Bown, is based in Sydney (and incidentally plays in bands with me). There's not nearly enough material from this combo available. I asked Sam and In Kharms Way has not been properly documented - tonight's tracks are live versions streamable from the duo's website... Odes is a project that collects Milton's collaborations outside of Blurt, and is available in a live rendering by Milton & Britton from Icarus's label Not Applicable. Britton also produced the latest Blurt album, from 2010, which is angular post-punk and free jazz, with Milton's saxophone squealing over almost-funk grooves, and his working-class poetry over the top - so, not that different from the work with Britton, albeit a bit more muscular and a bit less "sound-arty". Milton's voice is like a more together Mark E Smith, although this is probably rude to both artists. It's all fantastic, and in excellent news there is a new album on the way in which the duo are joined by Graham Lewis of Wire. Something to look forward to! Now back to The Wire, who were the catalyst of this whole Milton / Britton discovery, and who also released with this issue their latest download comp Below The Radar Vol 21. So we have a few more discoveries, or at least special tracks... Map 71 sees the spoken word and singing of Lisa Jayne combined with the music production of Andy Pyne. It's a nice segue from Milton's work. The hypnotic percussion and scraping jazz drums of Pyne add to the disquieting aura of Jayne's poetry and strangled singing. Leafcutter John's new album Resurrection earlier this year was a welcome return for the artist after a long absence from recorded work. For the latest Below The Radar he reworks elements from that album (and many that never made it onto the album) into a 5-minute piece of ambient vocals and something like head-nodding acid techno. It's a typical tangential left-turn for the artist, nicely done even if I can't readily identify the connections to the album. Finally from Below The Radar we hear a track from the new mini-album from Acre & Filter Dread, first release on experimental grime artist Visionists's Codes imprint of Bill Kouligas' PAN. Filter Dread's dabbled in junglist revival, and both he & Acre represent a kind of grime-meets-techno sound that's coming up of late. Dublin-via-Berlin duo Lakker put out one of the best techno albums of the year with Tundra, a few months ago. Coming up from the net label idm culture of the mid 2000s, they've found a good home with the legendary Belgian ambient/techno label R&S Records (home to Aphex Twin's early ambient & techno works for instance) - and the Berlin techno sound can certainly be heard in their work as well. They've just put out a remix LP of Tundra tracks, one of which is from none other than one half of Lakker, Eomac. And my Google-fu is completely unable to uncover Lahun, but it's a lovely take on the original, with Eileen Carpio's vocals layered in new ways, and the original's pounding beats broken up. Finally, we have a collaboration between two experimental electronic artists, English researcher Guy Birkin & US drone/post-bass artist Sun Hammer. They've been working together for a while (we heard a remix from last year up front), and came up with an interesting way of gamifying collaboration. The familiar act of sending files across the internet is turned into a kind of exploratory competition where each iteration is completed when both parties agree that it's more complex than the previous. So from an initially very simple seed, interesting works arise, with a clear lineage between the pieces, although obviously there's still enormous freedom with where they can take the pieces. It's a little conceptually rigorous than Birkin's work on symmetrical (or reversible) works, but a cool idea which is interesting to listen on the concept level but also good music. Hey you! Electronics meet indie pop, grebo, and the weird outer reaches of metal tonight! LISTEN AGAIN because your ears need the treatment... podcast here, stream on demand over there. Only last week, we had a sneak preview of the excellent cross-continental collaboration that starts the show. As I said last week: Brisbane artists Subsea & Pale Earth have worked together a bit in the past. Subsea is the ambient electronic alias of Jim Grundy (also of Ektoise), and Pale Earth is Benjamin Thompson of indie/tronic legends The Rational Academy. They're joined by London electronic producer & vocalist Kini, with an album of indietronica, crunchy electronic beats, glitchy textures, and altogether superb production all round. Sydney's Fabels have just put out a new single, which they will be launching soon around the east coast. Hiske Weijers is a visual artist and has played in psych rock bands, while Ben Aylward was lead singer in legendary Sydney shoegaze band Swirl. Together their music shares these influences but also has a hefty amount of '80s post-punk, which we hear in this beautifully morose piece, with oh-so-European delivery. The revival a few years ago of Pop Will Eat Itself as basically a new band fronted by Graham Crabb was a cause for as much consternation as joy for a lot fans (including myself). Clint Mansell has meanwhile made a name for himself as a well-regarded and in-demand soundtrack writer with many brilliant works under his belt, so it's not surprise that he's not that interested in being involved in a punky indie/hip-hop/electronic band - but the first "nu-Poppies" album didn't really bode well for anything other than a fun-loving piece of slightly embarrassing retro. So it's interesting that between that first revival album and this new one, something's triggered a whole lot of creative energy and anger - that something being the pretty dire political situation in the UK, I daresay. The Poppies were always forward-looking, combining their "grebo" riffage with samples galore, club/rave music, and of course their English take on hip-hop. The new album doesn't exactly push in any iconoclastic musical directions, but almost 2 decades on from their last real album, it manages not to just feel like it's looking back to the '90s. Their snotty-nosed beginnings notwithstandings, anti-fascist politics were an important part of the old-school Poppies ("88 Seconds" below is a reference to a famous PBS broadcast about the horrific Greensboro massacre in 1979 by the KKK & US Nazis), and Graham Crabb's EP1 Je Suis Crabbi takes this to its logical conclusion with a collection of ranty ditties set to mostly drum'n'bass beats. It's fun, and the instrumental and (hilarious) spoken-word versions are a welcome addition to the EP. Lyrically these releases are miles away from the slightly winceworthy previous nu-Poppies effort, and it's entertaining hearing sardonic, pronoun-shifted references to old PWEI songs ("lift the lid on the things we did", "it's war that they got") in there too. What can you say about Pyramids? Classed as black metal despite not featuring much in the way of eldritch screaming, opting instead (mostly) for angelic vocals buried in a miasmah of double-kick rumbling drums and layers of guitar noise... It's melodic, like a beautiful aria emerging from an active volcano in hell...? That's about right. Their first album was released on the glorious Hydra Head in 2008 along with an incredible set of remixes that only fucked up the sound even further. Between that and their new "solo" album they've collaborated with various people including the equally transcendence-seeking doom band Nadja - from which album we hear an extract from a piece of spine-chilling noise-meets-acoustic song. "Bake me a funeral cake / Molly here she comes..."
Locrian could also be vaguely connected with black metal, along with doom, but have a long background in dark drone and experimental before being joined by Steven Hess on drums & electronics in 2009. Their last couple of albums on Relapse have seen them adopt shorter song structures with more "traditional" drums and riffage, and there's a certain amount of the expected screaming in there, albeit often obscured by massive reverb and massive guitars & drums. Their back catalogue features a number of collaborations, including a stunning one with the wonderful Mamiffer (all tracks way too long to play tonight) and a revelatory album (for both bands) with the very exploratory black metal (among other things) Horseback. Although I didn't have time to explore that connection tonight, Steven Hess also plays in the very un-metal Pan•American and last year's wonderful related Anjou project, among other things. Postrock, noise, drill'n'bass, doom, indietronica... we've got quite the selection for you tonight! LISTEN AGAIN via the usual channels - here for podcast, there for streaming in stereo. Back in 2008, I chose as one of my albums of the year the debut from Melbourne artist Mirrored Silver Sea. Mostly the solo work of Tim Condon, it was a sweeping concoction of noise & ambient, with electronics, guitars, drum machines and even strings in there - and just what I wanted for Utility Fog. Not long after, Condon moved to Toronto, leaving most of his musical gear in Australia, and Mirrored Silver Sea was no more. But I'm glad for my initial encouragement, as Condon has moved on to form at least two new acts in Toronto, and Fresh Snow have already put out a fantastic debut album. Their new EP WON is coming out soon and tonight we heard the first track from it. It broadens the scope a little from the noisy kraut/psych-rock of their debut, and I'm lucky enough to have heard next year's second album ONE (uh, yeah, I know) which is an even more eclectic beast - I can't wait to be able to start playing it to you! Brisbane artists Subsea & Pale Earth have worked together a bit in the past. Subsea is the ambient electronic alias of Jim Grundy (also of Ektoise), and Pale Earth is Benjamin Thompson of indie/tronic legends The Rational Academy. They're joined on a shortly forthcoming EP by London vocalist Kini, and tonight's track is a nice piece of glitchy drill'n'bass pop. Changing pace a little, we head to Edinburgh (by way of US label Lost Tribe Sound) to hear some new remixes from Graveyard Tapes aka Euan McMeeken and Matthew Collings. Their album White Rooms from last year superbly mixed emotional pinao-based indie songwriting with surges of noise and Talk Talk-style ambience. It's good to be able to revisit that along with some new remixes - the forthcoming remix album features artists like Benoît Pioulard, Dag Rosenqvist (ex-Jasper TX) and William Ryan Fritch as well as the artists featured tonight. Next up, the debut album from Insect Ark, the new(ish) solo project of Dana Schechter of Angels of Light and Bee & Flower. There are hints of this dark sound in those other bands, but nothing to quite prepare you for the heavy doom riffs, detuned guitar chords and massive drum machine-plus-bass guitar rhythm section (all played by Schechter). It's quite a revelation. Insect Ark also appear on a compilation that's just been released on Bandcamp to help raise funds for Keith Utech of Utech Records, a much-loved dark ambient/metal/drone/noise label, whose wife Kim sadly succumbed to breast cancer last month. With two young kids to care for and the costs of her care as well, it's pretty hard going and he won't be able to run the label for a while - so 41 excellent artists connected with the label have donated exclusive tracks to the compilation to help raise funds. With artists like Nadja, Mothlite, Locrian, thisquietarmy and those featured tonight, it should be a no-brainer right? We've got a beautiful piece of minimalist postpunk electronics from Italy's Architeuthis Rex, a moving piece of country-tinged dirge-rock from Horseback's Jenks Miller, and some more of the incredible processed baritone ukulele of Kevin Hufnagel that I featured a little while ago. Yes. Hufnagel's processed acoustics segue nicely into US ex-pat jazz musician Erik Griswold's captivating prepared piano pieces. We recently heard Griswold as part of the wonderful Daughter's Fever project. Here, he accentuates the percussive and sometimes atonal qualities of the objects placed inside his piano, but his compositions are beautifully melodic even in their minimalist, repetitive shapes. When World's End Girlfriend (sincerely one of my favourite musicians in the world) formed his Virgin Babylon Records I never would have expected it to last 5 years (and counting) and release such an impressive array of mostly Japanese artists. It's now definitely a label to watch, with twisted J-pop, postrock, metal, idm, post-classical and more passing through its doors. They're celebrating 5 years with the compilation One Minute Older, which confusingly features tracks up to 1:30 long, but with 50 tracks you can't complain that a few are longer than expected! We started with a soft, glitchy number from mergrim, then a bombastic bit of idm from legend COM.A, and some cut-up glitchtronica from でんの子P (pronounced "den-no-ko P"). Japanese poet BOOL gives us a short number produced by World's End Girlfriend himself, and then we have a gorgeous glitched choir from hatis noit, and a typical genre mashup from Vampillia, with classical strings, ambient textures and metal insanity. I took the opportunity to pull out some of the goodies I picked up at their Sydney show a few months back - a self-released CD single and a cassette release featuring a remix by Fennesz - of a track originally featuring Jarboe, whose ghostly vocals can still be felt here and there. Finally we heard from the junk pop, indiepunk clatter of bronbaba, with some short, angular songs from their album neo tokyo and from the new compilation. Kashiwa Daisuke has released an album of impressionist piano pieces on Virgin Babylon, but also produces classical-meets-drill'n'bass-meets-glitch in a very World's End Girlfriend style. His album 9 Songs was released on Piana's label guns 'N girls records, featuring herself on vocals, and while it's disturbingly J-pop in places, it's also got all the manic breakbeats, stop-starts and glitches that you could want (plus some ambient piano bits and string arrangements), especially on a few tracks. Very electronic Utility Fog tonight, from very experimental to almost straight dancefloor sounds. LISTEN and groove AGAIN to the podcast here, or the stream at FBi. We start tonight with some selections from an incredible selection of "ordinary remixes" by Buttress O'Kneel. Why "ordinary"? Because Melbourne's riot grrl of breakcore mashups is best known for joyfully illegal sampling across the spectrum from pop to movies to TV & radio broadcasts. She first came to note for me making some powerful longform radio pieces for FBi's Sunday Night At The Movies (now moved to Thursday nights as the wonderful Ears Have Ears), themselves made up of mashed-up songs, splattered breakbeats and documentaries. But this mysterious artist had also been releasing masses of mashup and breakcore-ish material on CDRs via a Melbourne postcode for some time, and continues to do so sporadically today. The remixes appearing on this latest album are all authorised in one form or another - commissioned by the artists or remixed from publically available material in the case of The Blacksmoke Organisation (a KLF-affiliated guerilla music act of sorts). Many of these have not been released before, including - embarrassingly - 5 (count 'em) brilliant remixes of my own band FourPlay String Quartet (from a remix album that's been long delayed for many reasons). Buttress O'Kneel also had a long working relationship with Sydney experimental artist & academic Shannon O'Neill (no relation), who released a few of her albums on his Alias Frequencies label. They both have a strong interest in appropriation in art, although their musical approaches are very different. Shannon O'Neill has also been very involved in experimental radio, going back to the early '90s (or earlier?) as half of groundbreaking freeform radio show Wake Up And Listen (also sometimes a recording artist) - and he also used to fill in on Utility Fog when he was based in Sydney! The BO'K remix here is a fantastic piece of darkside jungle, great for it to see the light of day. Shannon also appears here under the alias of "Time Being" - at least it's him according to Discogs - with a track from Tom Ellard's Oompa Loopma Riot 2015 compilation, intended as a continuation of his Terse Tapes label from the 1980s. I somehow missed it in April (if that is really when it came out), and it has a great selection of weirdo electronic artists from around the globe, including Ellard himself and also his old Severed Heads partner (for a time) Garry Bradbury appearing as Chlamydia Headlock. Final track from the compilation tonight is from UK ambient/experimental artist The Revenant Sea, an alias of psych rock/folk band Wizards Tell Lies. We had a little feature last week on UK noise-folk duo Ambrosia(@), and just in time, they released their new album Neacute Veacute this week, so you get more of their sounds tonight. They cultivate in a way an almost naïve primitivist electronic sound, with simple sequenced synths and drum machines - except that it can all suddenly turn around into glitchy soundscapes, head-nodding grooves and gorgeous floaty vocals. Kind of barmy in the best possible way. Next up Jamie Vex'd, who has for a while now been releasing music as Kuedo. The initial material, like some of the Jamie Vex'd stuff, seemed not totally my cup of tea, but his duo (with Roly Porter, collaborating on one track here) Vex'd made groundbreaking dark industrial dubstep back in the day, and there's plenty of cyberpunk darkness and rain-swept streets in this new material, as well as a hefty amount of juke influence. Like so many artists today (including Roly Porter I believe), he's relocated to Berlin, and it's there he met Australian ex-pat Phoebe Kiddo, who contributes to the last selection from his new EP under the name Mind:Body:Fitness. Also based in Berlin is the experimental electronic artist M.E.S.H., whose chopped-up, broken-down breakbeats draw from techno, glitch, idm and the post-bass/post-r'n'b world. It often approaches danceable forms, but tends to shy away, glitching and cutting away or the tempo suddenly shifting. Probably the Infra-Dusk/Infra-Dawn EP from earlier this year is the most regular his beats get, and even then it tends to syncopate in weird ways. It's undeniably complex and smart stuff, and the new album has been touted as among the best this year in various places. Jazzy dubstep melodist Silkie returns after a break, now on Distal's new Anarchostar label... He's always been a supremely talented musician, keeping the dubstep faith with big basslines and head-nodding beats, but bringing a deep warmth through jazz harmonies on the keyboards, live-sounding breakdowns and heaps of feeling. On the new album he's felt free to stray from core dubstep a lot of the time, into more explictly funk & jazz fusion-influenced material, so you get dubstep-heavy basslines accompanying uplifting world-funk... but also some lovely dark & tasty dubstep in the old school style - and one crazy jungle-fueled track near the end, kind of drill'n'bass Silkie style! Althought it's not all as much to my taste as his past work, it's unquestionably brilliantly done and should gain him lots more fans.